This compound has very good oil, gasoline and abrasion resistance. Its resistance to alkalis and acids increases as the nitrile content of the compound increases. Nitrile must be specially compounded for resistance to ozone, sunlight and natural aging. It has poor resistance to oxygenated solvents. Nitrile is superior to neoprene in oil and solvent resistance, but is not recommended for applications where it is exposed to severe weathering. This compound has excellent impact strength, good resilience, tensile strength, and abrasion resistance and maintains flexibility at lower temperatures. It is not the polymer of choice where resistance to oil, gasoline and hydrocarbon solvents is required. SBR materials are also not suitable for exposure to the outside elements such as UV and ozone. Typical uses of SBR have been in gaskets, impact bumpers and vibration mounts. This compound is well known for its excellent ozone, weathering and aging resistance. It also has excellent water and steam resistance, maintains its flexibility at low temperatures, and features excellent resistance to alkalis, acids and oxygenated solvents. It is not recommended for resistance to oil, gasoline and hydrocarbon solvents. EPDM is found in a wide range of applications and is excellent for outdoor use. Non-woven fabric. Used in a variety of applications such as headliner, bearings or padding. Natural rubber is a polymer found in the sap of the rubber tree. It offers superior tensile strength, with excellent elongation and resilience properties. It has excellent resistance to water and alcohol, but fair to poor performance in other chemicals. It also has poor resistance to weathering, and fair temperature resistance. A registered Dupont high performance elastomer that is highly resistant to the deteriorating effects of ozone, oxygen, weather, heat, oil and chemicals. Resists discoloration on exposure to light and can be compounded to give excellent mechanical properties—for example, high tensile strength and abrasion resistance. A registered Dupont high performance elastomer having excellent all round chemical resistance. Provides reliable, long-term service with a wide range of aggressive industrial and electronic grade chemicals such as semiconductor wafer processing, pharmaceutical, oil and gas recovery, aerospace and petroleum applications. Offers a good balance of superior tear strength, high resilience and tensile strength, good abrasion resistance and good flexural qualities at low temperatures. It does not stand up well to chemicals, oil, oxygen, ozone or high temperatures. An all-purpose blend of Neoprene and EPDM. This product has moderate resistance to oils and gasoline. It weathers well and has very good resistance to abrasion, flex cracking, alkalis and acids. However, expect poor resistance to aromatic and oxygenated solvents and limited flexibility at low temperatures. This is an excellent all-purpose compound with a solid balance of properties and few limitations. This compound has moderate resistance to oils and gasoline. It weathers well and has very good resistance to abrasion, flex cracking, alkalis and acids. However, expect poor resistance to aromatic and oxygenated solvents and limited flexibility at low temperatures. This is an excellent all-purpose compound with a solid balance of properties and few limitations. The cells of this type of foam rubber are open to each other so that air, water and other chemicals can pass through when the rubber is not compressed. This gives open cell foam an excellent compression recovery and is therefore generally used as a spring-action seal. Its open cell configuration makes it a poor choice for weatherstripping. This compound has the properties and performance of rubber but is processed like a thermoplastic. Its performance properties are similar to conventional thermosets such as natural rubber, SBR, EPDM or Neoprene. The important features of TPE are that they are flame resistant, possess excellent flex fatigue and ozone resistance and perform well in alcohol. TPE, however, are limited by their poor resistance to aliphatic and aromatic hydrocarbon solvents as well as oil and gasoline. This lightweight material is heat and wear resistant and features excellent dielectric strength and good machinability. Resists corrosion and chemicals and has a low moisture absorption rate. The oldest known elastomer, Natural Rubber offers a good balance of superior tear strength, high resilience and tensile strength, good abrasion resistance and good flexural qualities at low temperatures. It does not stand up well to chemicals, oil, oxygen, ozone or high temperatures. This compound features excellent resistance to ozone, sunlight and oxidation. It also maintains excellent flexibility at low temperatures, has outstanding resistance to high heat, has low compression set and is a very good electrical insulator. Also in food applications as it is odourless, tasteless and non-toxic. However, it is not recommended for applications that require abrasion resistance, tear and cut resistance and high tensile strength. Nor is it recommended for resistance to oil, gasoline, solvents, alkalis and acids. Products made with Teflon® fluoropolymer have exceptional resistance to high temperatures, chemical reaction, corrosion and stress-cracking. The mechanical toughness, electrical and low-friction properties of Teflon® make it the preferred plastic for a host of applications and different processing techniques. Urethanes are elastoplastic and can be processed in standard thermal plastic molding and extrusion equipment. They have unusually high physical properties such as high abrasion resistance, tear strength and tensile strength, good elongation, excellent shock absorption and resistance to solvents ozone and oxygen. However they have limited high temperature resistance and poor resistance to hot water, steam and hydrolytic agents. 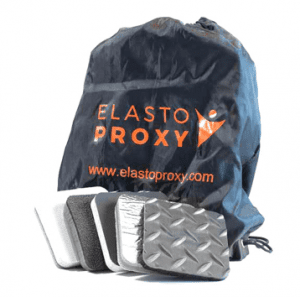 Products made from this material maintain excellent resistance to compression set, exhibit high resiliency, good vibration damping and impact absorption. They will continue to perform after constant and repeated deflection. Low-outgassing and non-fogging, containing no plasticizers or residual chemicals to contaminate the device. The material will not become brittle and crumble and is non-corrosive to metal. A registered Dupont Dow fluoroelastomer. It is the most specified of the fluoroelastomers, well known for its excellent (400°F/200°C) heat resistance. Viton® offers excellent resistance to aggressive fuels and chemicals and has worldwide ISO 9000 registration. This is a special compound used for resistance to special solvents and chemicals. Impermeable to air and gases. It has a high energy absorption. It resists aging from weather, ozone, heat , abrasion and chemicals. It should not be used where resistance to oil or hydrocarbon solvents is required, but it possess excellent resistance to oxygenated solvents. Epichlorohydrin rubbers are characterized by resistance to deterioration at high temperatures, low temperature flexibility, resistance to swelling in fuels and oils and resistance to cracking in ozone. This part has a special requirement that is not already listed in its description.